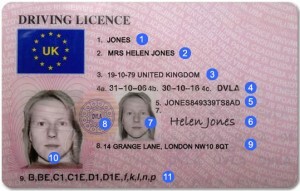 Displayed below is the front and rear view of a full United Kingdom driving licence along with each section explained. 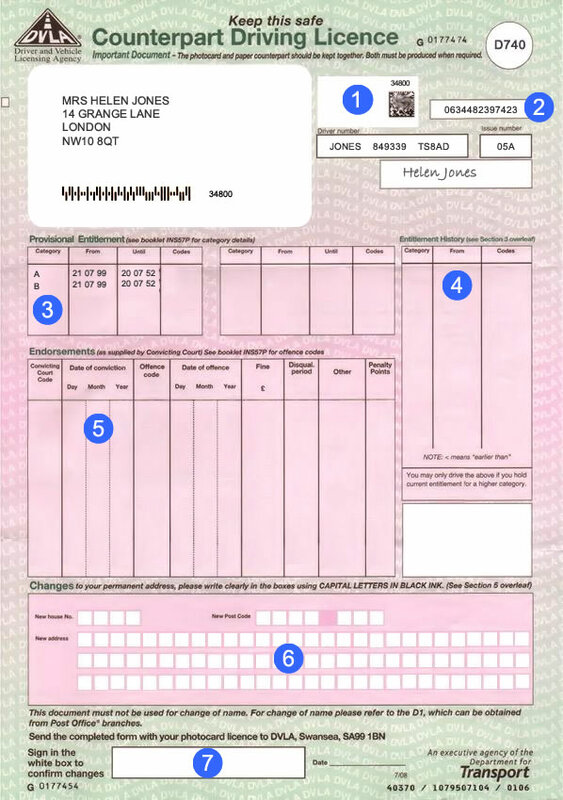 The paper counterpart of a UK licence is also explained. 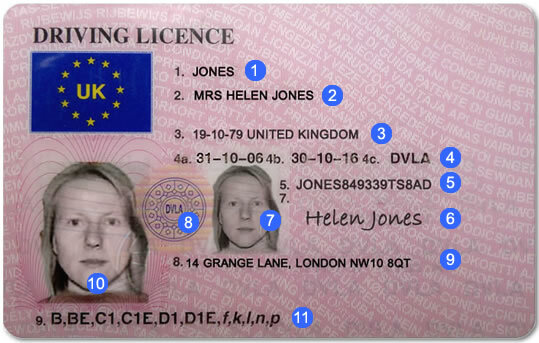 The paper counterpart of a UK driving licence is no longer issued by the DVLA as all information is kept digital. Date of driving licence issue, photo expiry, issuing authority (4): The date displayed in 4a is the date the photocard licence was issued. 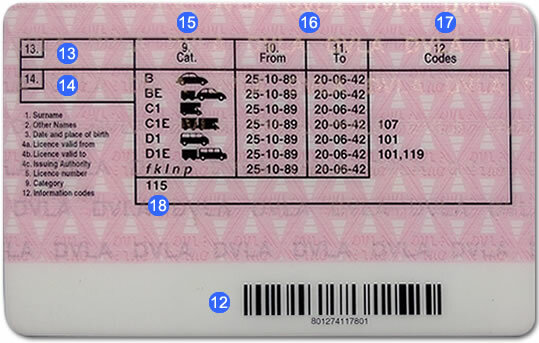 4b displays the date the photocard must be renewed and 4c displays the authority that issued the licence (DVLA). Full Licence Holders: Categories of vehicle you are entitled to drive provisionally (that is, before you pass the applicable driving test). Entitlement history (4) Entitlement history (that is, previous entitlement which has been replaced by a higher category). Endorsements (5) Endorsements as issued by the convicting court. 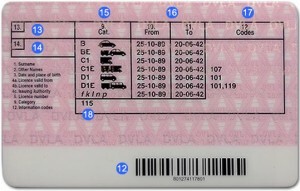 Change of address (6) The counterpart also has a section for you to tell the DVLA about a change of address. (Both the photocard and counterpart must be returned in this case). Signature box (7) Signature box for confirming change of address.